Social Selling on LinkedIn can be quite tricky! – Especially if you aren’t active on the platform and have little to no knowledge of how to utilise its best features. 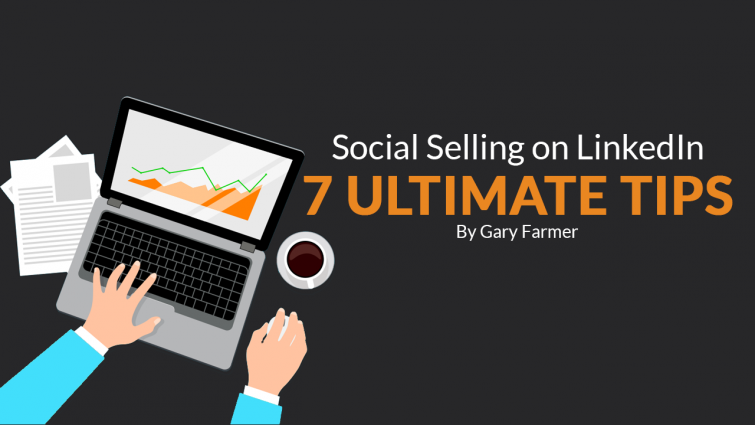 Thankfully, I’m here today to give you seven top tips to begin social selling on LinkedIn effectively. The number one tip I must stress about is to ensure that your personal brand is established, not only on LinkedIn but the other platforms. > Improve credibility by asking for recommendations from peers and management. This will go towards showing you are liked and trusted and in turn will show that you are someone worth doing business with. Key-Takeaway: Have one of your existing connections look it over for you. That also gives you a reason to get in touch. Follow industry experts. Not only does this allow you to stay up-to date with the latest news but you’ll also be able to find commonalities within your profile. You might also want to consider using the Google Chrome Extension 360social.me. A brilliant tool to find out how active your prospect is across other channels. You may see that it is easier to engage with them on Twitter. If so, do that, then take them offline from there, or suggest you connect on LinkedIn to further extend your connection. Key-Takeaway: Start following your prospects. Visit their profile and click on the ‘More’ button, then click follow. This is a nice ‘soft touch’ and might result in your prospect adding you as a connection instead. One thing I’d highly recommend is to join some LinkedIn groups. Whilst LinkedIn groups are under-used right now, the group you are a member of will show on your profile, again enhancing your own personal brand. You might want to consider opening your own industry specific group across LinkedIn and further afield. This would be a great tactic to help nurture leads. Key-Takeaway: If you decide to create your own group, make sure to set out some good ground rules and encourage engagement. It’s always wise to create your group elsewhere too, for example, Facebook groups are very active at the moment. When Social Selling on LinkedIn, you want to make sure that you are doing so with the correct prospects. You can do this easily using the search feature. You might want to consider purchasing Sales Navigator to help with this. The advantage of Sales Navigator is that you can keep a closer eye on your prospects, especially the second and third connections. Industry news will also be highlighted to you so that you can engage with that. There’s also a great recommendations feature which will alert you to other prospects you may want to follow. Key-Takeaway: Build a buyer persona. Write this down and make sure you are only targeting those that you want to do business with. It would be wise to have a strategy in place for any contacts you make. If they connect with you – what is your approach? If you approach them, what are you going to say? This is where it is always good to have something of value available. I send my new connections to a Pinterest board with some great infographics, or offer them on demand Sales Webinars from Jack Kosakowski. Under no circumstances should you send a sales pitch. There is nothing more off putting and you are likely to lose your new connection right away. Key-Takeaway: Offer your connections value. If you blog and have written a blog post that your buyer would find valuable, send it to them. If you don’t blog, perhaps you have found a cool 3rd party piece they might like. Have a think about creating a Flipboard and pop all industry related content there! Give them value! Ideally, your goal should be to take the prospect off LinkedIn! Ultimately, you are looking to set up a call. If you can do this after establishing some interest, great! If not, this is where you might invite the prospect to take another action. That action might be to connect on Twitter or join a group of yours. The key thing is, you are strengthening the relationship by being visible and valuable. Key-Takeaway: Aim to get to the point where your prospect would know who you were, if you called. There is a lot of talk about cold calling being dead, and if truth be told, it is (or it should be), in favour of the ‘warm call’, which is what this should be. 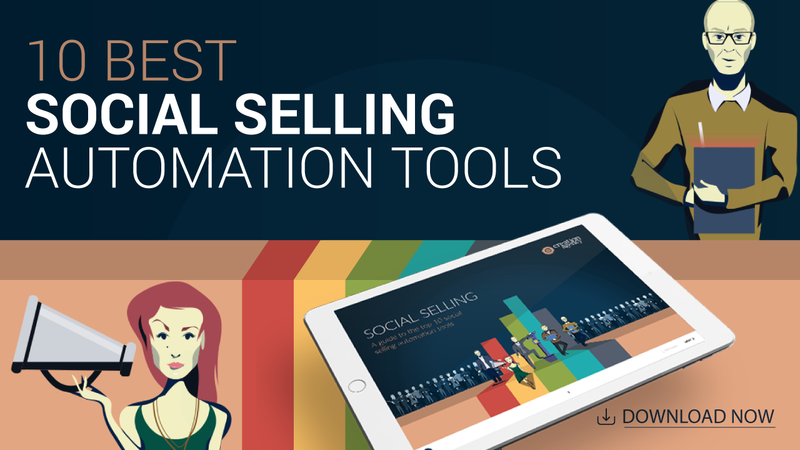 Contrary to the name, keep in mind you will rarely sell, when ‘social selling’. In essence, you are really prospecting and building relationships with the goal of taking things offline. Be patient, offer value and remain non-salesy. Key-Takeaway: Sales has changed dramatically in the past few years. The skillset of a sales-person has changed and along with it, the attitude of the buyer has too. If you try old school techniques, they simply won’t work and you will lose all credibility. The above tips should set you on your way to success. There are lots of other content out there to help you on your journey.